Radiant Chocolates uses primarily South American chocolates. We believe this chocolate provides a richer flavor profile than the more traditional Belgian chocolate. Our truffles are made with organic cream and organic butter. None of our products contain high fructose corn syrup…even our sprinkles are naturally colored! Our founder and chocolatier has the philosophy that if she would not feed it to her family, she would not feed it to her customers. 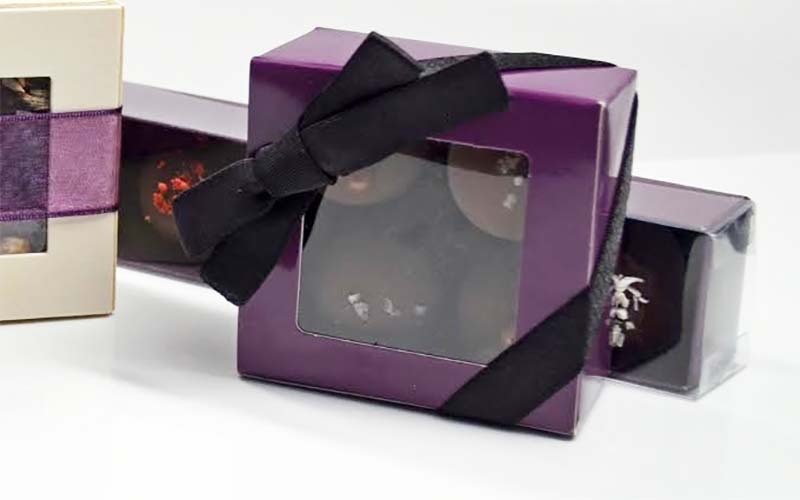 Radiant Chocolates’ truffles are perfect for event coffee breaks, wedding party favors, or for luxurious champagne toasts. The options are endless. Everyone loves chocolate. We have so many flavors you’re sure to find their favorite (or be able to introduce them to one that don’t know yet!). They’ll love it. You deserve this! For everything you do…for all that you are…take a break and enjoy a Radiant Chocolate. And, maybe, share with your family. Radiant Chocolates is a venture conceived by Mairin Molina, which was created with equal parts insanity, joy of cooking, a desire to create, and, of course, a LOVE of chocolate. This electrical engineer is now also a chocolatier. Mairin has discovered that handcrafting chocolate allows the artistic, imaginative, experimental, and crazy portion of her personality to meld with the precise and analytical side of her “engineering” brain. Mairin is always looking to try new flavor combinations, and experiment with different ingredients. Just like her engineering work, she strives for perfection in her chocolates. If she is not happy with the final product, it does not get sold. Chocolate is an amazing medium and the possibilities are truly endless! 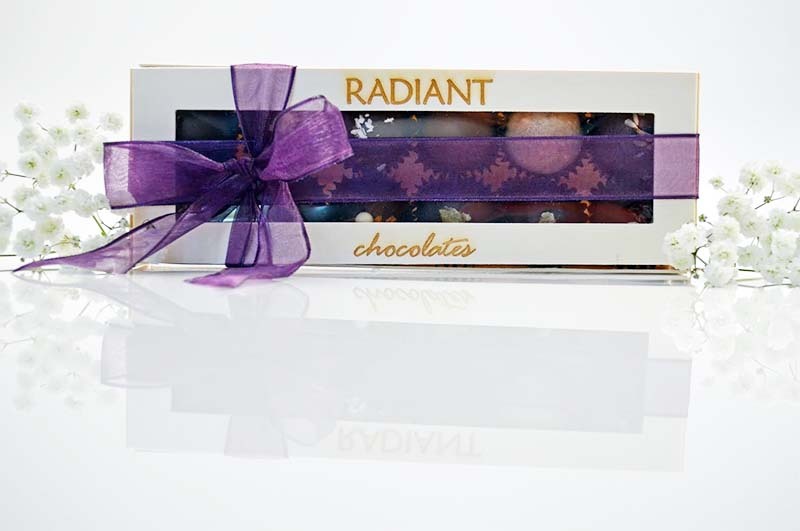 Radiant Chocolates are my new favorite gift for hard-to-shop-for chocolate lovers. I like to send local Colorado gifts that aren’t readily available to my out of town family and there are always new creative flavors to check out. I’m a huge fan of ice cream sundae (vanilla bean ganache, dark chocolate peanut shell, cherry on top), and apricot ginger dark chocolate is a close second. My favorite Aunt goes for the more traditional peanut butter milk chocolate truffles, with and without a little raspberry to make it PBJ. True confession…. one of the boxes I bought to surprise a friend never made it into the mail. I've had the pleasure of enjoying Radiant Chocolate Truffles for a while now and they never disappoint. The chocolates are wonderfully smooth and have a luxuriously silky texture. I've tried so many wonderful flavors and they're always delicious. My favorite was the ice cream sundae -- I must warn you, once you try them you will be comparing all other truffles to their exceptional quality. In addition they are fresh made locally, which is a huge bonus to this Colorado Native. Dessert first? Yes please! These truffles are the perfect bite of chocolate bliss. Combine beautiful presentation with wonderful flavors and you’ve found your new chocolate fix for any occasion. My recommendation? Share with a friend or treat yourself! I thoroughly enjoyed your truffles and happy to tell you they disappeared at the pot luck get together I took a few dozen to. What is there to say about Radiant Chocolates truffles for all one has to do is pop one in their mouth. There are no words to describe the taste sensations, simply a satisfied and curious smile. A special batch of bourbon and chocolate truffles were made just for me with my favorite bourbon and they were fantastic. The combination was truly unexpected but Radiant Chocolates made it happen. 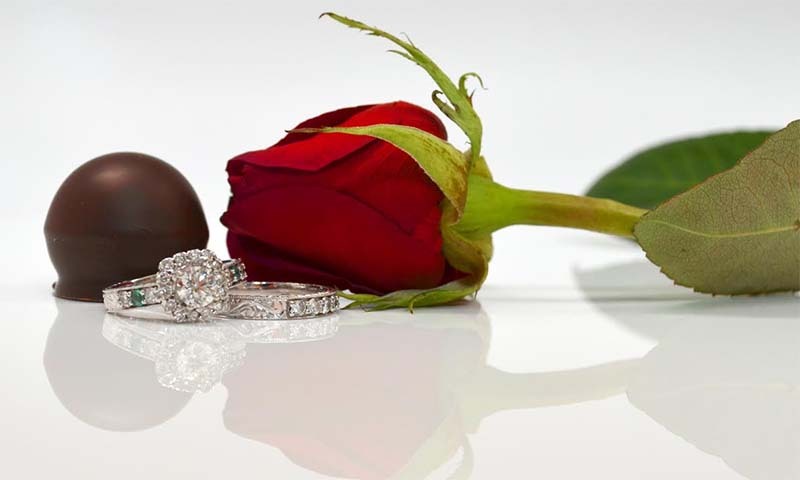 The selection offered is quite extensive and if the chocolatier isn't satisfied with any of her truffles she will continue tweaking the recipe, with only the best ingredients available, until it meets her extremely high standards. I certainly hope you enjoy Radiant Chocolates as much as I do.